Investment in a new state-of-the-art equipment is helping a Cannock automotive supplier win over £750,000 of new contracts. RSD Pressings, which supplies components for seats, sub-frames, cross car beams, bumpers and body, has installed a new Chin Fong Progression Press and can now take on much bigger parts for tier 1 customers and major car manufacturers. Nearly £350,000 has been spent on the machine and a Tomac coil line, with more than £100,000 of funding secured from Stoke-on-Trent and Staffordshire Grants 4 Growth and the European Regional Development Fund. Three new jobs have already been created as a result of the investment and a further eight will be recruited over the course of the next twelve months once production starts on the projects already secured. “The components we manufacture at our new facility in Cannock end up in millions of cars all over the world, including Aston Martin, BMW, Jaguar Land Rover, Nissan and Volvo,” explained Daniel Burton, Operations Director at RSD Pressings. 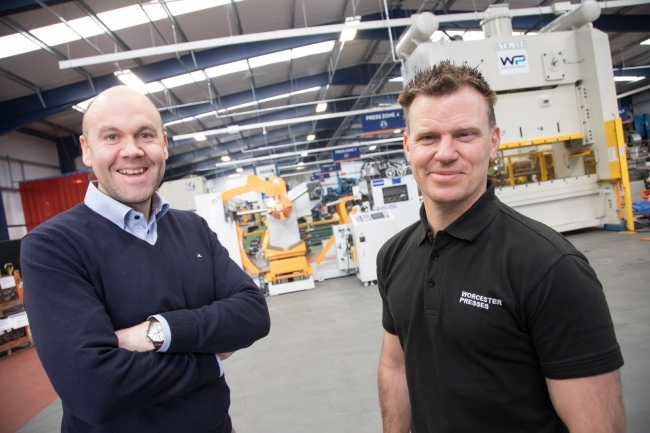 RSD Pressings, which boasts annual sales of £5m and employs 50 people at its state-of-the-art facility in Cannock, has worked with Dudley-based Worcester Presses, who supplied the equipment, for more than five years. Russell Hartill, Director of Worcester Presses, added his support: “The GTX is a state-of-the-art press in every sense of the word and offers fantastic performance, reliability and, with the large bed size, capacity. As part of its expansion, it has recently recruited an additional service engineer, taking its total workforce to 14.